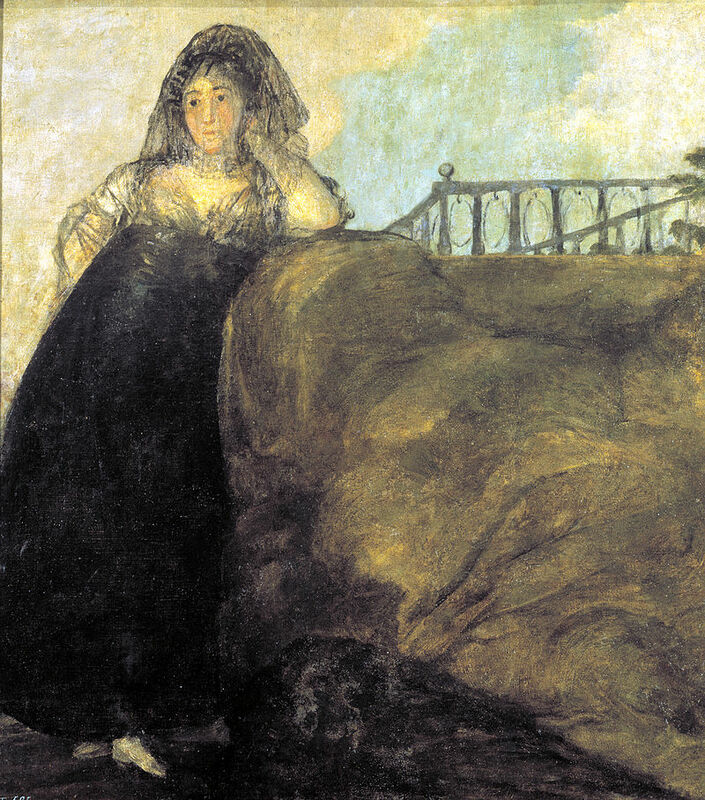 Spanish romantic painter and printmaker Francisco de Goya (1746-1828) is known as the last of “the old masters” (a painter of skill operating in Europe prior to 1800) and the first of “the moderns”. An intensely private man, he was deafened by a severe illness in 1793, after which his work became particularly pessimistic. The Napoleonic Wars (1803-1815) and widespread social and political corruption in Spain further embittered his attitude towards life and humankind. 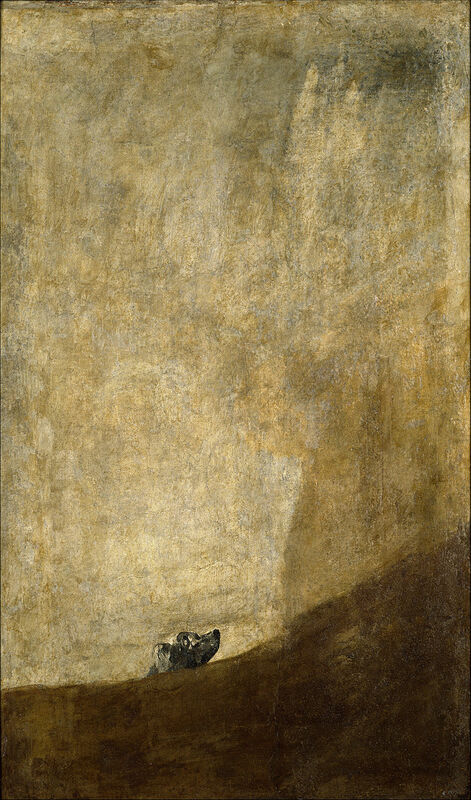 In 1819, he purchased a house coincidentally named ‘Quinta del Sordo’ or ‘Villa of the Deaf’ where, living in isolation, he produced his ‘Pinturas negras’ or ‘Black Paintings’ – originally a set of 14 murals depicting his disillusioned and bleak outlook. Never intended for public viewing, the paintings have been transferred to canvas and are now held at the Prado in Madrid. 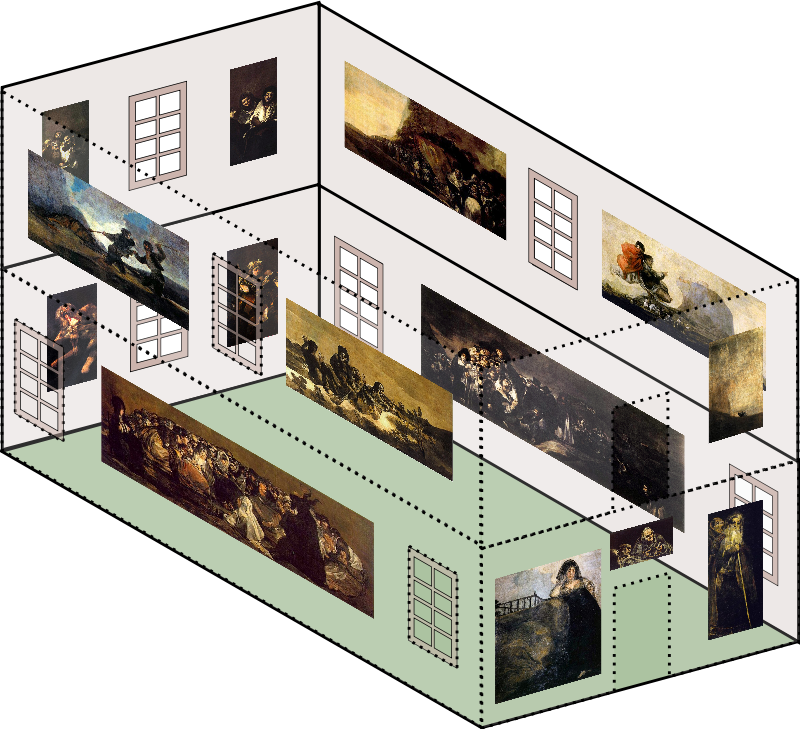 (Arthur Lubow, “The Secret of the Black Paintings”, NY Times Magazine, 2003). According to the Netherlands-born art historian Fred Licht, one of these 14 paintings Saturn Devouring his Son is “as essential to our understanding of the human condition in modern times” as Michelangelo’s Sistine ceiling is to our understanding of the sixteenth century (Goya: The Origins of the Modern Temper in Art, 1979). Heads in a Landscape, Wikimedia Commons. Now in a private collection in New York , might be the fifteenth Black Painting.